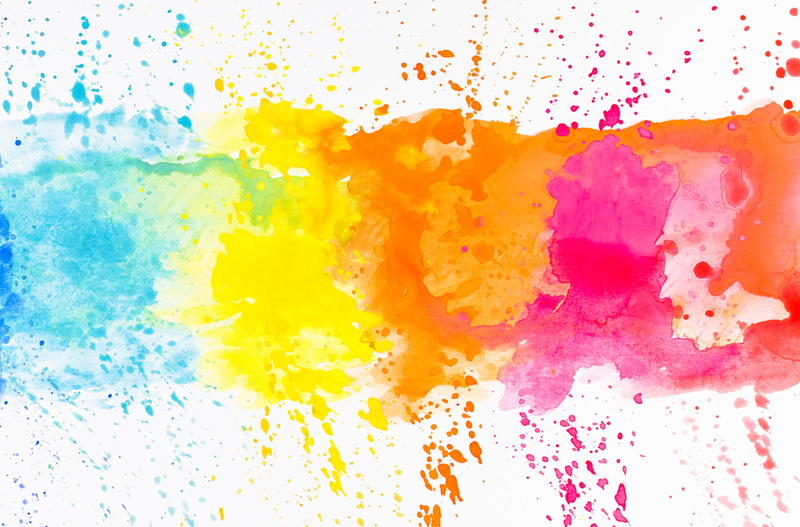 Here we have a superb example of a Vibrant and Colourful splash effect. The blend from blue to red is quite stunning and really brings out the beauty of colour on canvas. The micro dots of matching colours really give the splash effect its true identity as a legitimate splash effect. The blend of colours especially with the pink and blue to yellow really stand out well.